VLCC, a leader in beauty and wellness industry in India, today announced that it has signed a license agreement with theCentral Marine Fisheries Research Institute (CMFRI), the premier Kochi-based marine research establishment of the Indian Council of Agricultural Research (ICAR), Government of India, for exclusive rights to manufacture, market and use Cadalmin Antihypercholesterolemic (Cadalmin ACe) extract. This marine algae based nutraceutical product has been developed after years of intensive research by CMFRI and has been found to be effective in combating dyslipidemia and obesity. As per CMFRI’s research, Cadalmin Ace provides a unique blend of 100 per cent natural marine bioactive ingredients from selected seaweeds known for their extraordinary medicinal properties, with an eco-friendly ‘green’ technology.VLCC will have the exclusive rights to manufacture and market Cadalmin Ace nutraceutical. 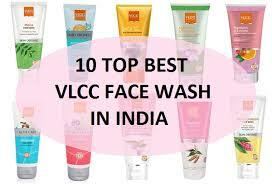 VLCC has GMP certified manufacturing facilities in India and Singapore. This nutraceuticalthat has been developed by CMFRI after years of intensive research and testing.The pre-clinical trial showed no test substance-related general organ or systemic toxicity following long term oral administration of CadalminT ACe. VLCC will be working closely with the CMFRI to source relevant seaweed and manufacture the product as per CMFRI developed technology. Dyslipidemia is an abnormal amount of lipids (e.g.,triglycerides, cholesterol and/or fat phospholipids) in the blood. VLCC has been spreading awareness on anti-obesity and healthy living across the world, for decades. Through its extensive of products and services, it has been transforming lives and helping its customers to get fit and feel more confident. VLCC’s Anti-Obesity campaign has evolved into a larger movement, which has gained momentum as a public health campaign. The brand had also established Orange Pledge,where people could enroll for their commitment to the cause. In November 2016, VLCC celebrated 15 years of Anti-Obesity Day with the ‘Standup India’ campaign – a public awareness initiative that encourages people to be more active in their daily lives through the simple act of standing up.